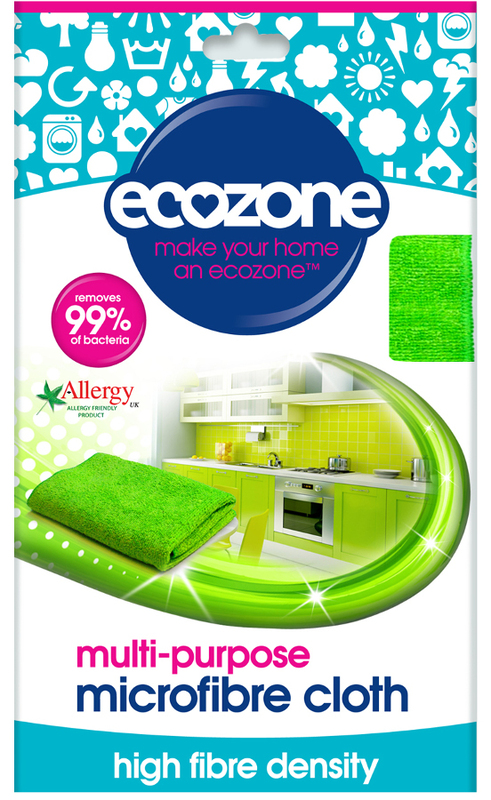 Remove dirt from any surface with the eco-friendly microfibre cloth from Ecozone. Without the use of chemicals you can clean your house to the highest standard whilst looking after your purse and your planet. These high-quality cloths reduce your use of household chemicals by up to 90%. You only need to use minimal amounts of water and you can reuse them up to 300 times. Removes dirt, grease and over 99% of bacteria, including E. coli and Listeria. Use on all hard surfaces including tiles, stainless steel, cookers, glass, worktops and fridges. Wash on a 60oC wash with similar colours as colour may run initially. The Ecozone Microfibre Multi Surface Cloth - 80g product ethics are indicated below. To learn more about these product ethics and to see related products, follow the links below. 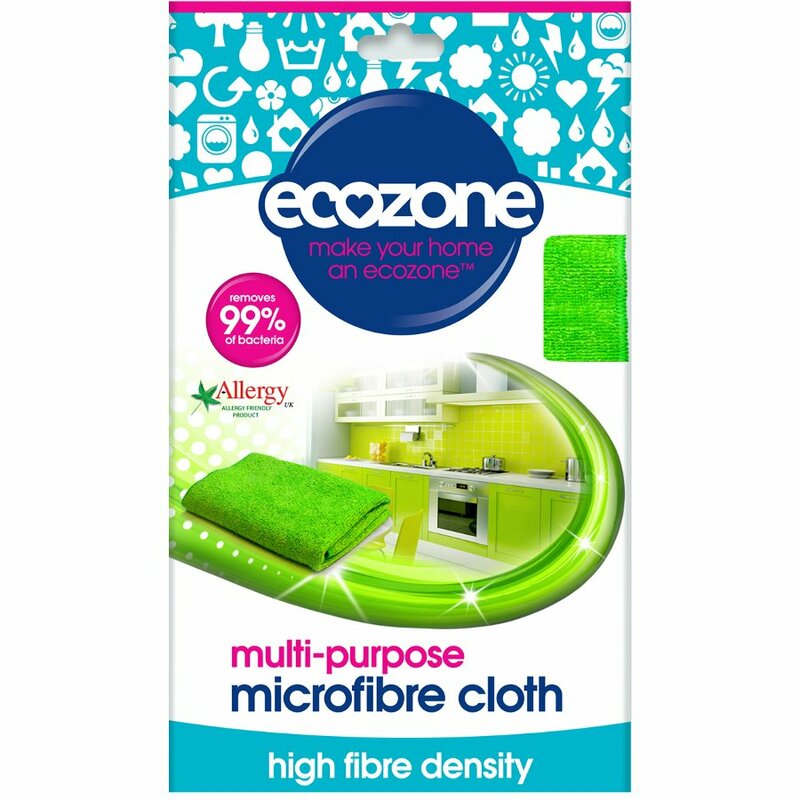 There are currently no questions to display about Ecozone Microfibre Multi Surface Cloth - 80g.